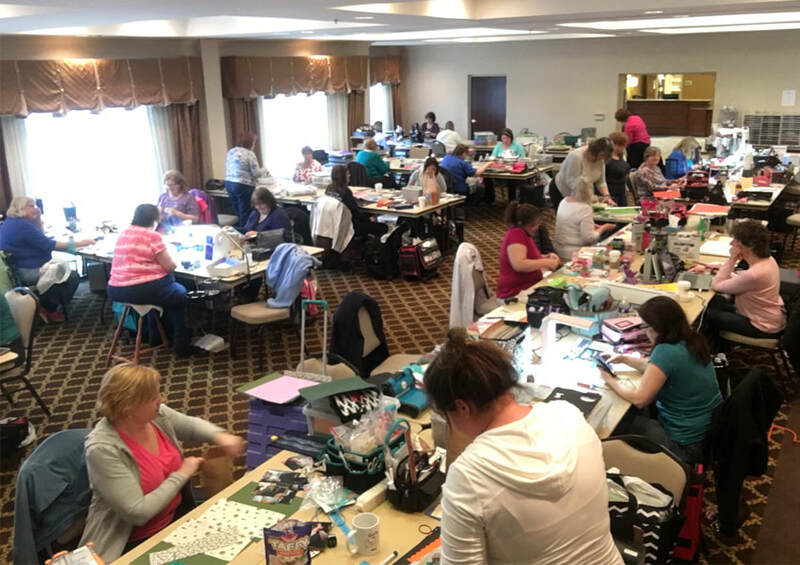 The March 2019 retreat is March 28-31, 2019 at the Hampton Inn in East Aurora. Your first payment of $100 is required at time of registration to hold your seat. $100 due at registration to reserve your guest room and seat. Final balance is due no later than February 28, 2019. Save $10 off your retreat package price if paid in full by January 31, 2019. If not paid by February 28, 2019, you forfeit your guest room and seat at the retreat. Please mark all tablemate preferences on registration form as well; we do our best to accommodate them. Please understand that if someone in your guest room cancels, your rate will increase and you will be responsible for paying the increased rate. On the flip side, if you add a person to your guest room, refunds will be given for the rate difference. If you find a replacement that will stay in the same guest room, arrive on the same day, and sit at the same table, you will receive a full refund less a $25 cancellation fee. If we have a waiting list, we can assist in finding a replacement. Receive a full refund, less a $50 cancellation fee. If you find a replacement that will stay in the same guest room, arrive on the same day, and sit at the same table, you will receive a full refund less a $50 cancellation fee. If we have a waiting list, we can assist in finding a replacement. Receive a full refund, less a $100 cancellation fee. If you find a replacement that will stay in the same guest room, arrive on the same day, and sit at the same table, you will receive a full refund less a $100 cancellation fee. If you find a replacement that will not be staying in the same guest room, arriving on the same day, and sitting at the same table, an additional transfer fee of $50 will be applicable. No refunds will be given without a replacement. If we have a waiting list, we can assist in finding a replacement. No refunds or credits will be given. Neither the Hampton Inn nor Scrapbook Creations Retreats, LLC are responsible for lost or stolen items. I have read and acknowledge the above policies. By signing here, I agree to the terms. Please sign even if you choose to receive a refund. Obviously it doesn't apply if you are getting a refund, but it is a required field and will not submit your form unless this box is checked. Sorry for the inconvenience.